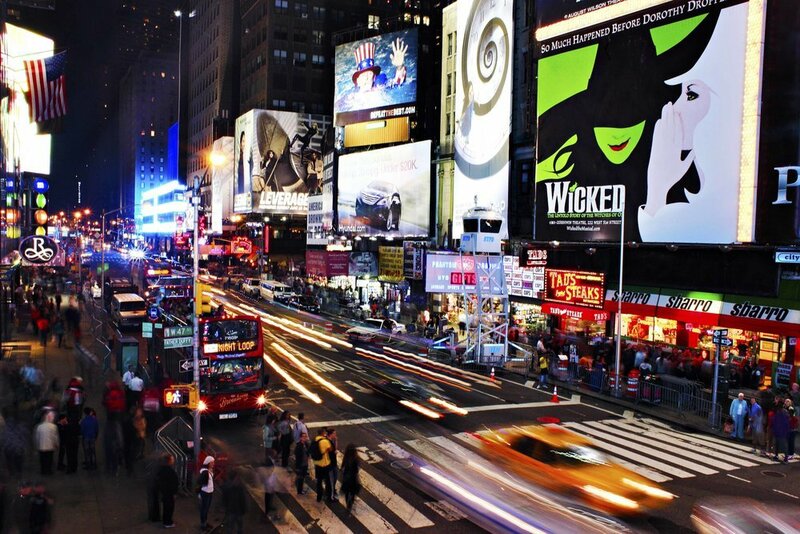 New Yorkers are fortunate to have their pick of some of the top plays, musicals and performance arts pieces here at home on Broadway. It’s an exciting time for the institution of Broadway with tons of new plays and musicals hitting local theatres. Here are some of your best bets to catch on Broadway this month. After a historic performance at the 2018 Macy’s Thanksgiving Day Parade, “The Prom” is gaining buzz as a musical not to be missed this season. With its recent opening on November 15, the show is gaining fans rapidly. According to Playbill, the musical tells the story of an Indiana high schooler barred from bringing her girlfriend to the prom, which prompts a group of eccentric Broadway folk to infiltrate the town in an “earnest, misguided attempt to fight the injustice.” The show is running at the Broadway/Longacre Theatre. One of the most popular shows on Broadway right now is no doubt the high-school set comedy, “Mean Girls.” Similar to the movie, which was written and conceptualized by Tina Fey, the show takes on the story of Cady Herron, a homeschool transplant who makes her high school debut and navigates the tricky social climate, spearheaded by none other than the “Mean Girls” themselves, Regina, Gretchen, and Karen. There are clever tunes from composer Jeff Richmond and lyricist Nell Benjamin, and snappy, funny dialogue from original creator Tina Fey. Harry Potter fans should run, not walk to see the latest brainchild from J.K. Rowling. “Harry Potter and the Cursed Child” is a two-part stage play written by Jack Thorne based on an original story by Thorne, J. K. Rowling and John Tiffany. The play originally opened at the Palace Theatre in London in 2016, and opened on Broadway in April 2018 at the Lyric Theatre. The play tells the story of Harry Potter, nineteen years after the events of the last book, “Harry Potter and the Deathly Hallows” and follows Harry Potter and his younger son Albus Severus Potter, who is about to attend Hogwarts School of Witchcraft and Wizardry. The show has been extremely well-received by fans of the series, as well as the general public. The classic musical gets a deserving revival in Director Bartlett Sher’s production of “My Fair Lady,” now playing at the Lincoln Center. In a role that was originated by the legendary Julie Andrew, Laura Benati’s turn as protagonist Eliza Doolittle is heartwarming and lovely. The revival production is a sight to behold, with a rotating set that comprises Professor Henry Higgins’ home and stunning period costumes. This show has a little something for everyone, and is a great classic production to share with family and friends. Fans of the music of Bob Dylan will be interested to check out “The Girl from the North,” a new show that tells the beautiful story of a down-on-its-luck community on the brink of change in Duluth, Minnesota in 1934, in the midst of the Great Depression. This play premiered in London and recently opened off Broadway at The Public Theatre in September 2018, where it will run until December, and then transfer to Toronto. After a breakout year at the 2017 Tonys, the new musical, “Dear Evan Hansen” continues to enjoy a long stint on Broadway, now at the Music Box Theatre. The touching story follows Evan, a high-school misfit tasked with writing letter to himself to help overcome his own shyness. Due to a series of events involving teen suicide and social media attention, Evan finds himself at the center of a rapidly evolving memorial phenomenon, and not quite sure how to handle it all. The show hits on a number of relevant societal points, such as the viral nature of social media, and has won a place in the hears of so many theatre-goers to date. It’s a beautiful show about the power of human connection in an increasingly technological world. No matter what show (or combination of shows) you choose to see, it’s pretty hard to make a bad choice. We are fortunate to live in a thriving theatre and performance arts hub of the world – widen the scope of your art and culture appreciation by seeing one of these shows this month.